This is the story of a Scottish island as it has never been told before. 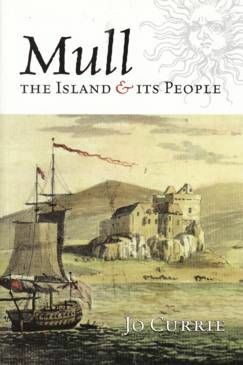 While many books on the Hebrides are a litany of agricultural statistics and population movements, this is the story of the landlords, tacksmen, cottars and others who actually lived on or visited the island of Mull. It is based on research into a vast archive of rarely seen or previously unknown documents, particularly the original correspondence of the principal families, Macleans and Maclaines. In this book Jo Currie relates how the emigration that led to the disappearance of most of the island's native population during the eighteenth and nineteenth centuries did not follow the pattern of clearance seen in other parts of the country. It was instead caused by the long deterioration in relationships between the gentry, the half gentry and commoners and the inexorable forces of economic change during these centuries.